Our study highlights that in integrated banks, managers have more control, which places a heavier burden on corporate governance. 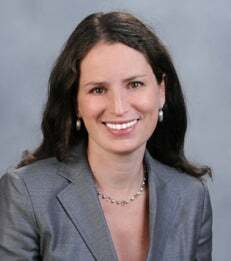 In a new study, Professor Claudine Gartenberg of the NYU Stern School of Business and Professor Lamar Pierce of the Olin Business School at Washington University in St. Louis find that integrated banks – firms that both originate and then securitize a mortgage – with poor corporate governance are twice as likely to issue loans that will default compared to similar firms with strong governance. For non-integrated firms, there is no difference in default likelihood between firms with strong vs. weak corporate governance. For integrated firms, the probability of default is roughly twice as high in firms ranked in the bottom 10% in terms of corporate governance relative to firms ranked in the top 10%. Loans from the top 10% of best-governed integrated firms were 35% less likely to default versus the average loan on the market. Loans from the worst 10% governed integrated firms were 26% more likely to default versus the market. Poorly monitored bank executives used their control over the integrated business to issue low-quality loans that supported short-term growth. The article, “Subprime Governance: Agency Costs in Vertically Integrated Banks and the 2008 Mortgage Crisis,” was recently accepted for publication in the Strategic Management Journal. To speak with Professor Gartenberg, please contact her directly at cgartenb@stern.nyu.edu; or contact Carolyn Ritter, critter@stern.nyu.edu, 212-998-0624, in NYU Stern’s Office of Public Affairs, or Erika Ebsworth-Goold, Eebsworth-goold@wustl.edu, 314-935-2914, at Washington University in St. Louis.